Stephanie and Chris have something real special. Everyone that knows them knows not only how in love they are, but how lucky they are to have found each other. They met online several years ago and there was an instant connection. They both love dogs, the outdoors, and have a witty sense of humor. They wanted their wedding day to be outside, rustic and laid back. 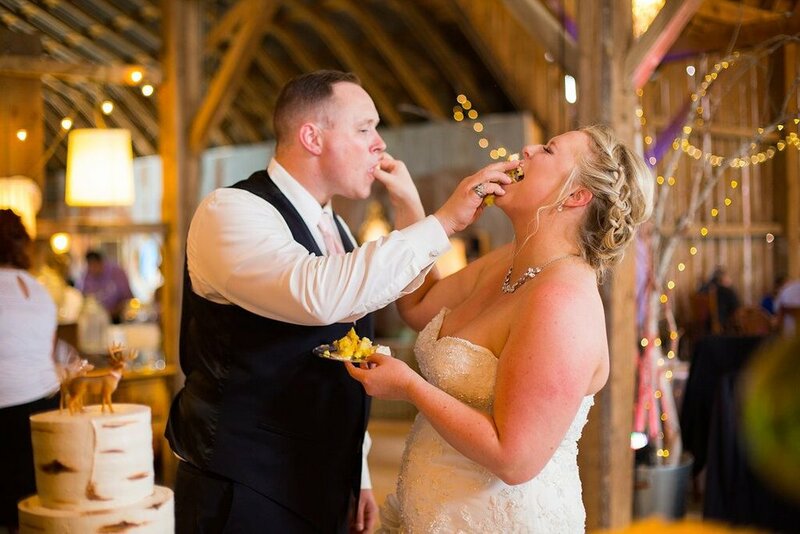 Their Barns of Lost Creek wedding in Wisconsin was just that and so much more! When you think of early June in the Midwest, you think it’s probably going to be a bit cooler- 70’s at the most. Well, not for this June, it was a scorching 90 degrees. Luckily, the bridal room had an A.C. unit, so Stephanie and her bridal party could get ready comfortably. Chris and his half of the party did not, but they managed to keep themselves hydrated and looking fresh. Everyone did a great job of this, especially Stephanie and Chris who looked stunning as ever, as if there was no heat at all. One of the most special parts of their wedding was hearing their vows. They wrote them for each other and were so heartfelt. Chris busted out one of his many nicknames for Stephanie and started with a bit of humor, but went on to say she was the only person he couldn’t imagine living his life without. Stephanie’s was equally as heartfelt and ended by telling Chris that one day she might even let him win an argument. 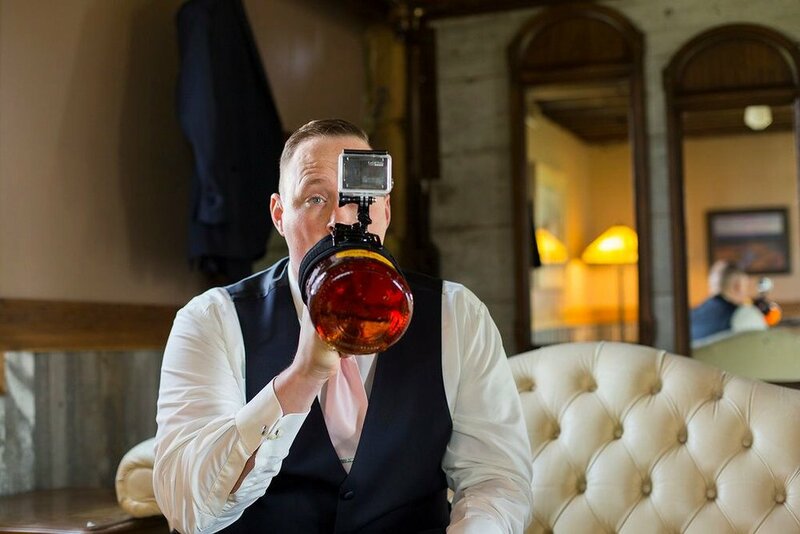 There wasn’t a dry eye in and house, and after they shared their first kiss as husband and wife, they made their way back down the aisle and the celebration began.Their guests sipped signature cocktails named after the bride and groom while enjoying the barns and the grounds. Dinner was served shortly after and featured a mix of Italian and Spanish foods. The speeches by the best man and maid of honor were also so special. Her maid of honor shared that every night before bed, Stephanie and Chris tell each other one reason why they love each other. They say that they love each other one million five eighty which is their way of saying more than anything or anyone. The sun went down and everyone cooled off enough to get on the dance floor. The night ended with smiles, laughter, hugs, and some ninety’s hits!